So, how is this supposed to play out? 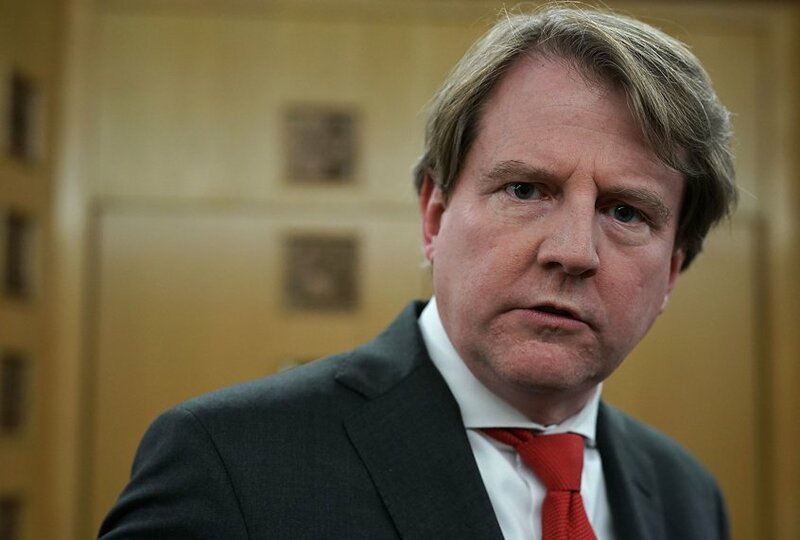 Don McGahn, the former White House counsel, has emerged as the star witness in an upcoming House Judiciary Committee hearing that would examine whether Donald Trump obstructed justice during Robert Mueller’s tedious probe into alleged collusion with Russians who interfered in our 2016 presidential election. But wait! The president is threatening to block McGahn’s testimony. He doesn’t want McGahn, who now is a private citizen, to speak to House lawmakers about what he knows. He won’t let him answer a couple of key questions: Did the president order him to fire Mueller? Did the president order staffers to lie about it? Simple, yes? It sure is. However, if the president succeeds in blocking McGahn from testifying under congressional subpoena, does that constitute an obstruction of justice? Judiciary Committee Chairman Jerrold Nadler thinks it well could be a case of obstruction. Hmm. In that case, there might be an impeachable offense in the making. It’s getting hard for me to keep pushing on the brake pedal while the governmental vehicle keeps moving toward impeaching Donald J. Trump. However, I have to insist that calls to launch immediate impeachment proceedings against the president are, at best, premature. At worst, they might be tantamount to a political death wish for those who oppose Donald Trump’s role as president of the United States. The man appears to have at least attempted to obstruct justice in the Russia probe conducted by special counsel Robert Mueller, whose report chronicles a systematic effort to derail the probe. It well might be impeachable. However, the congressional wise men and women — led by Speaker Nancy Pelosi — are seeking to stop the impeachment talk until Congress does its own due diligence and investigates further what Mueller has concluded. Pelosi knows the score. She can count votes. She understands that impeachment is a two-step process. The first step is an easy one. 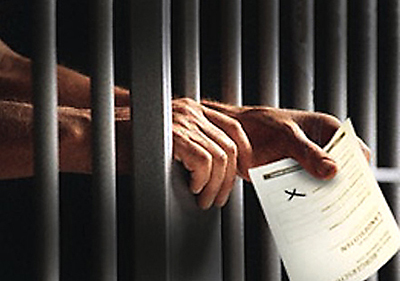 The second one, the Senate trial, requires a huge leap over the two-thirds rule requiring conviction. Republicans still comprise a majority in the Senate. Does anyone really believe the GOP caucus has the stones to convict a president who has abused the awesome power of his office to end a serious investigation into the conduct of his presidential campaign? It won’t happen. Impeachment is a non-starter. At least for now. Jared Kushner married well when he joined with Ivanka Trump all those years ago. 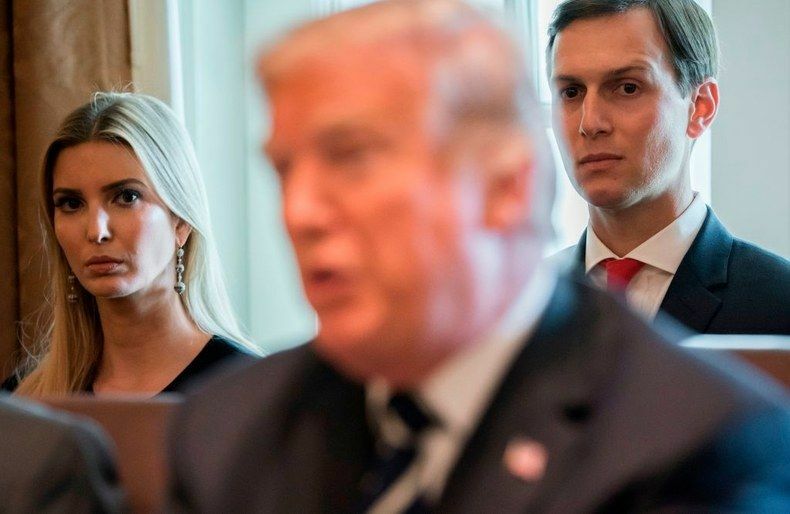 Now the two of them are “senior advisers” to the president of the United States, Ivanka’s father, Donald J. Trump. None of that, though, makes Jared Kushner an expert on anything to do with the federal government or with the tedious work of a special counsel. Thus, when he says that special counsel Robert Mueller’s investigation into alleged “collusion” with Russians who hacked into our electoral system did more damage to the country than the Russian attack itself, he is pi**ing into the wind. The young man doesn’t know what he’s talking about. Then again, maybe he does. Perhaps he is trying to avoid incurring the wrath of his father-in-law, who has this propensity for inflicting extreme hurt on those he feels are “disloyal” to him. Kushner made the preposterous claim today, saying that all the Russians did was take a “couple of Facebook ads” in their effort to interfere in the 2016 presidential election. Oh, no, Jared. They did a whole lot more than that. They launched a systematic, calculated attack on our electoral system seeking to sow discord and to put Hillary Rodham Clinton, the Democratic presidential nominee, into the worst light possible. Mueller concluded his investigation by saying that the Trump campaign did not conspire to collude with Russian goons. He also left the door wide open to further congressional inquiry into whether the president obstructed justice. Mueller climbed atop mountains of evidence and reached what I believe was a carefully considered conclusion. Mueller’s narrative has been scathing in its characterization of the amorality, ineptness, deception and corruption of the Trump campaign. To suggest, though, that the investigation has done more harm than the Russian attack on a fundamental element of our system of government is beyond absurd. Jared Kushner’s assertion is disgusting and reprehensible on its face. Jared Kushner? He is nothing of the sort. I accepted long ago that Donald J. Trump prefers to communicate with Americans via Twitter. He does so frequently and too often inarticulately. His syntax is mangled. He can’t spell his way out of a wet paper bag. But I get why he prefers that medium to talk to us. It’s unfiltered. Boy, howdy, is it ever unfiltered. Here’s the question of the day. This individual is the president of the United States, someone with a heaping plate of issues, crises, challenges and opportunities to confront. Why in the name of good government does he spend so much Twitter energy commenting on the media, Robert Mueller, a phony “witch hunt,” or anything having to do with issues from which he claims to be “totally exonerated”? 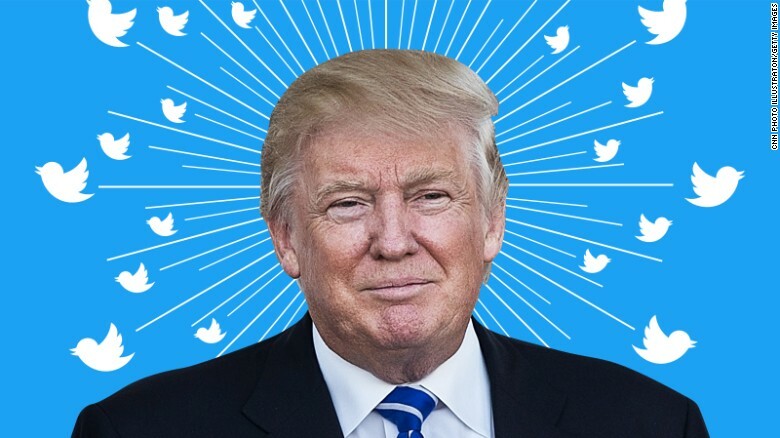 He launches these tweet storms, attacking everyone under the big, bright sun. Where are the policy pronouncements about, let’s see — Earth Day, Social Security, national security, medical research, international terrorism, gun violence, church burnings in Louisiana (allegedly started by racists)? Yeah, I know. Those are highly debatable, but a president who declares extreme comfort in the moment shouldn’t be acting like someone who’s under extreme distress. Donald Trump won’t stop using Twitter, so I won’t urge him to do so. However, for the sake of being taken seriously, POTUS needs to redirect his social media attention to issues that matter. It appears official, or is about to become official. Former Vice President Joe Biden is set to enter the race for the presidency of the United States. Oh, my. How am I supposed to react to this? I’ll give it a shot. I am of decidedly mixed feelings about it. I admire Joe Biden’s long record of public service. I appreciate all he endured during his time in the U.S. Senate, starting with his immense personal tragedy stemming from the motor vehicle crash that killed his wife and baby daughter. He took the senatorial oath and served well for more than three decades. Along the way he sought the presidency twice. He got caught in a plagiarism controversy during his first run; he then lost to Barack Obama in 2008, who then selected him as his running mate. Biden has been on the public stage for a long time. He has a lengthy record of accomplishment. There has been some embarrassment. He didn’t acquit himself well during those hearings involving Supreme Court Justice Clarence Thomas and the woman who accused him of sexual harassment. I prefer a younger, fresher candidate to challenge Donald Trump in 2020. If it’s not to be, though, I will gladly give VP Biden my support on Election Day. To be sure, age is an issue. Biden will be 77 years of age were he take the oath in January 2021. Time is no one’s friend. Still, he is the current frontrunner in this enormous field of Democratic hopefuls. 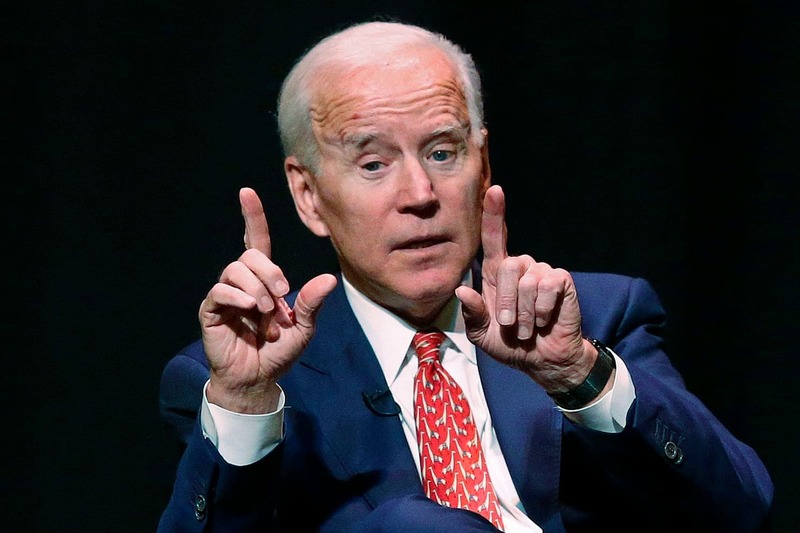 Make no mistake, though, about Biden’s ability to energize the debate. Yes, he is gaffe-prone at times, which might enliven the discussion right off the top. I simply prefer someone in the White House with a demonstrated commitment to public service. Joe Biden has provided that service dating back to the time I cast my first vote for president. That’s a long time, man. I don’t follow men’s professional basketball all that closely these days. Sure, I know who are the game’s top stars: LeBron James, Dwyane Wade, James Harden, Kevin Durant, Steph Curry. Oh, yeah! Dirk Nowitzki, too! Well, I had to move to the Dallas/Fort Worth Metroplex to understand fully how much this guy Nowitzki means to diehard fans of the Dallas Mavericks. Wow! This big fella got quite a send-off as he retired from the National Basketball Association. I had little clue as to what he means to this community. The Dallas Morning News published a 14-page special section on April 14. We came home from a two-week trip to points south and east to find that edition of the paper on our driveway. The section contained stories about how he perfected his fade-away jump shot; it had testimonials from his former coaches and from former rivals; about how he makes an impact on D/FW kids. There even was a two-page spread showing a remarkable graphic of every shot he took and made during his more than two decades as a pro basketball player. Incredible! 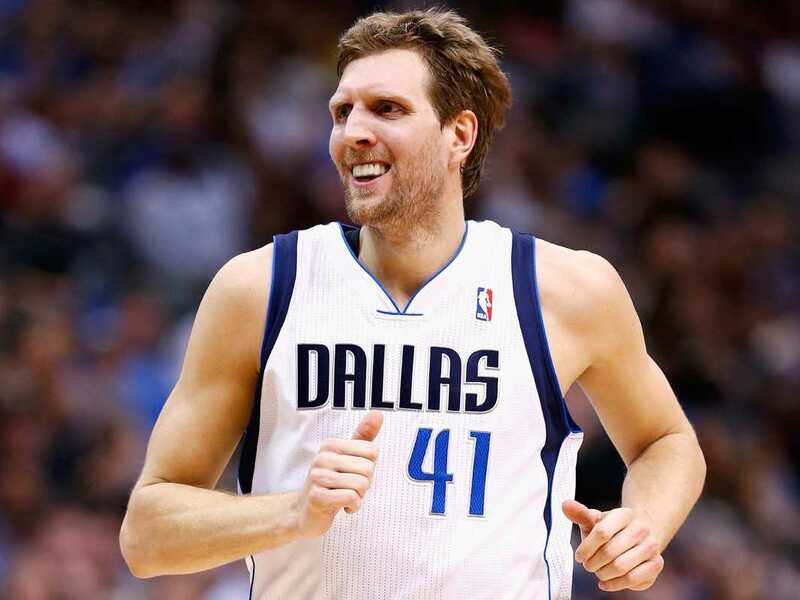 Nowitzki is thought of as one of the game’s truly good guys. He is devoted to his wife and young children. He spends time visiting seriously ill people in hospitals and he does it all under cover. He played 21 seasons for the Dallas Mavericks. He came to Big D from Germany, the nation of his birth and where he grew up. You listen to him these days and you detect barely a German accent. He is going to stay in Dallas in his retirement years. He finished as the No. 6 scorer in NBA history, passing Wilt Chamberlain to reach that ranking. He finished behind legendary figures, too: Kareem Abdul-Jabbar, Karl Malone, Michael Jordan, Kobe Bryant and LeBron James. I watched the Mavericks over the years from some distance. Sure I knew that Nowitzki was a great athlete. I knew he could shoot well for a guy who stood 7 feet tall. I just didn’t appreciate the iconic status he attained during the course of 21 seasons playing basketball. This is the third Earth Day we have noted since Donald Trump became president. Yes, the two elements are related. There used to be a time when presidents of both parties would salute efforts to save our planet from ourselves. Donald Trump took office in January 2017 and immediately began dismantling environmental regulations and removing this country from a key worldwide environmental initiative. He pulled the United States out of the Paris Climate Accord. Then he knocked aside rules and regulations limiting carbon emissions; he has sought to open up public land to fossil fuel exploration; he has downplayed the exploration of alternative energy sources; Trump dismisses openly the effects of climate change. Despite all of that, the sun rose this morning. It will set tonight. The cycle will continue. The bad news is that the president continues to ignore the cause of climate change/global warming. He calls it a “hoax.” It is no such thing. It’s real. It needs to be dealt with seriously. We need presidential leadership to take command. It was on the watch of President Nixon, a Republican, that the nation formed the Environmental Protection Agency in 1970. Republicans and Democrats for most of the time since then have embraced the EPA’s mission. Is this the end of life as we know it? No. However, we need to pay attention to what’s happening out there. Earth’s temperatures are rising; the polar ice caps at both ends of the planet are shrinking; polar habitat is endangered; storms are becoming more frequent and more ferocious; human beings who live along our coasts are imperiled. 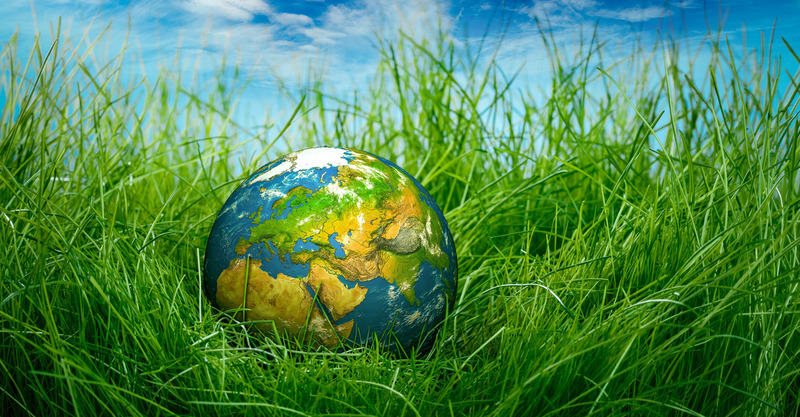 We have to care for this planet. It’s only one we have. Happy Earth Day . . . even to you, Mr. President. U.S. House Speaker Nancy Pelosi is as shrewd a political operative as there is anywhere at any level of government. So, when she seeks to toss cold water on talk of impeaching Donald Trump, the upstarts within her Democratic Party caucus in the House need to take heed. She wants to get to the whole truth behind the continuing allegations that the president sought to obstruct justice in connection with special counsel Robert Mueller’s investigation into alleged collusion with Russians who attacked our electoral system in 2016. Mueller’s report does not “exonerate” Trump of obstruction, as the president contends. It lays bare a whole range of activities that could be construed as obstructing justice. He just lacked sufficient evidence to file a formal criminal complaint. Mueller left it up to Congress to take up corrective matters as it sees fit. The Democratic firebrands want to launch impeachment proceedings immediately. Pelosi is trying to tamp down that talk. 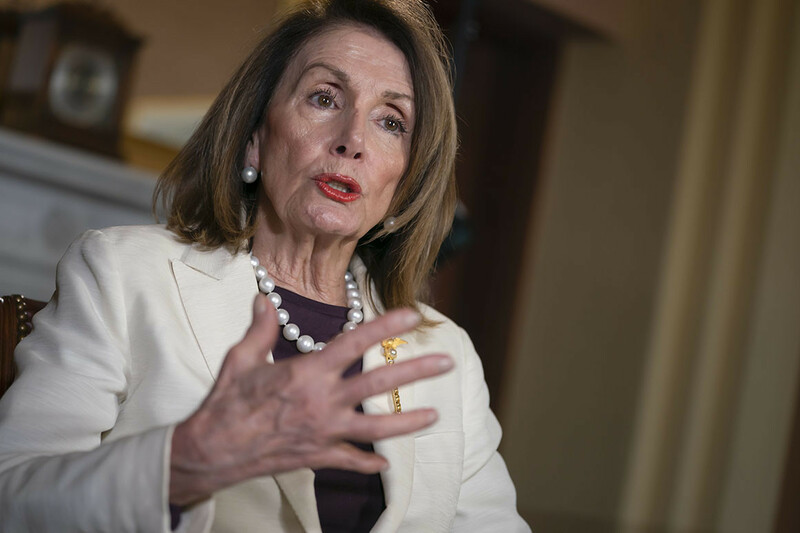 “Whether currently indictable or not, it is clear that the President has, at a minimum engaged in highly unethical and unscrupulous behavior which does not bring honor to the office he holds,” Pelosi wrote Monday in a letter to House Democrats. She’s not ready to sign on to an impeachment proceeding, however. The speaker wants to collect more information. I am one of those voters who believes impeachment won’t work. My preferred method of getting Donald Trump removed from office is to defeat him on Election Day 2020. Having declared that belief, if lightning strikes and hell freezes over, there could be enough Senate Republicans who might hitch themselves to an impeachment hay wagon. Were that to happen, then by all means, get rid of Trump. Until then, though, I stand with Speaker Pelosi’s call to conduct more congressional inquiries into what Robert Mueller has revealed before getting anything close to talking seriously about impeaching the president. I am taking away a few impressions from the release of Robert Mueller’s findings into the Russia matter and whether Donald Trump’s presidential campaign “colluded” with Russians. I intend to share some of them here, briefly. Trump did not collude with the Russians. His campaign didn’t conspire to collude with those who hacked into our electoral system. I am willing to take away some relief in Mueller’s findings on that matter. The president, though, is a moral leper. He is a lying, conniving, self-absorbed narcissist who was saved from his own politically imbecilic instincts by individuals who knew better than the “boss” on how to respond to the special counsel’s ongoing investigation. All of the individuals who saved Trump from committing a foolhardy act by firing Mueller are gone. They no longer work within the administration. Trump cannot be trusted to tell the truth about anything. 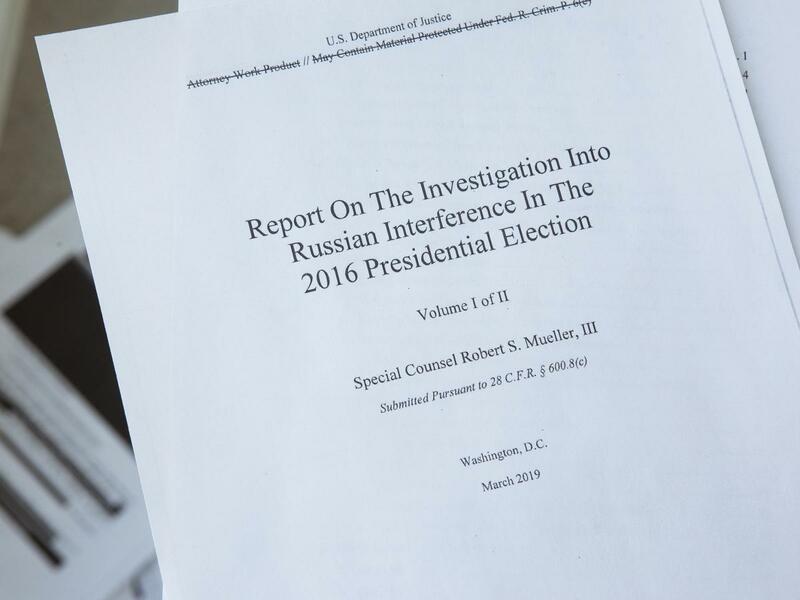 Mueller’s report tells of how Trump responded to questions with his written answers by invoking the “I can’t recall,” “I can’t remember” or “I don’t know” response roughly 37 times. This is the same individual, Trump, who boasted during the campaign about having a steel-trap memory. He called it “the best memory,” yes? There appears to be demonstrable evidence that Trump sought to obstruct justice by firing FBI director James Comey, by seeking the ouster of Mueller, by firing AG Jeff Sessions. Mueller chronicles instances of Trump doing all he could to call off the hounds on the hunt for the truth behind the Russian hacking. Is any of this impeachable? Maybe it is. I do believe that an impeachment proceeding is a fool’s errand. House Democrats likely have the votes to impeach. The Senate is still run by Republicans. 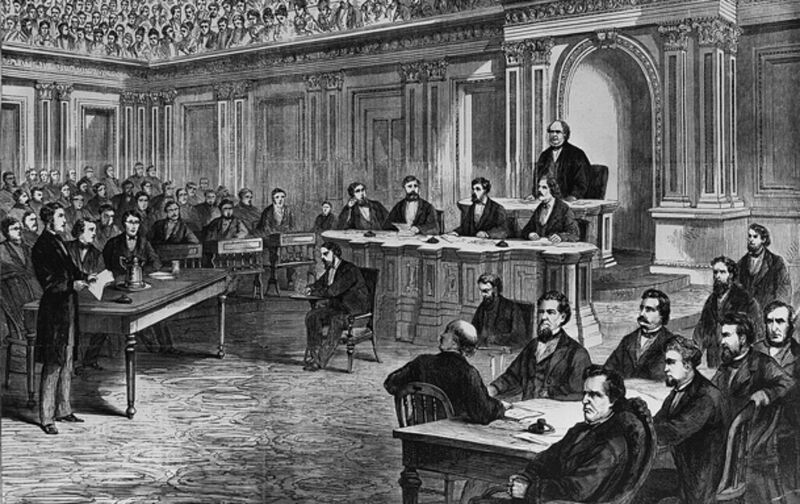 The Senate would put Trump on trial if the House impeaches him. There appears to be little stomach to convict the president; Republicans are too scared of Trump to cross that line. I agree with GOP Sen. Mitt Romney of Utah. I, too, am “sickened” by the moral depravity exhibited by the president. The Mueller report only deepens my desire to see Trump removed from office. He is unfit at every level to hold the nation’s most exalted public office. My preference at this moment is for the November 2020 election to perform that task.